The past several months have been a whirlwind of self-reflection, growth, and learning macrame. 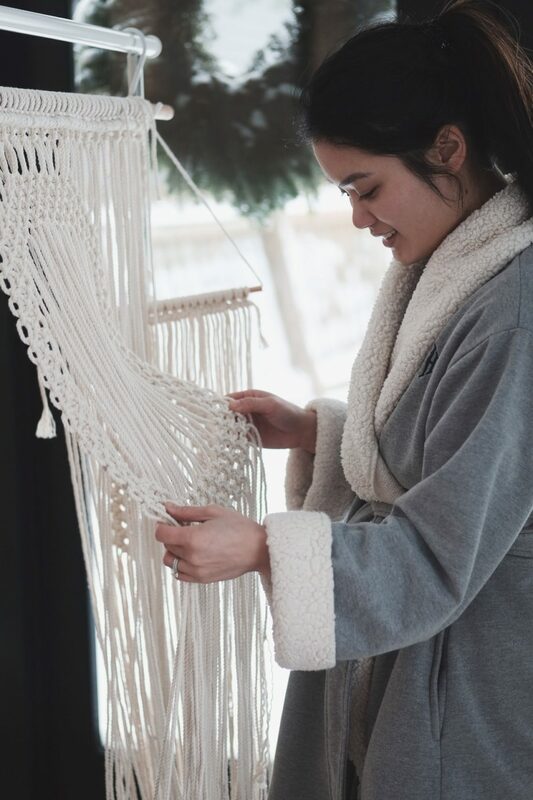 Three months ago I didn’t even know how to pronounce macrame (mac-ruh-may) and here I am today in the midst of booking workshops and filling plant hanger orders! 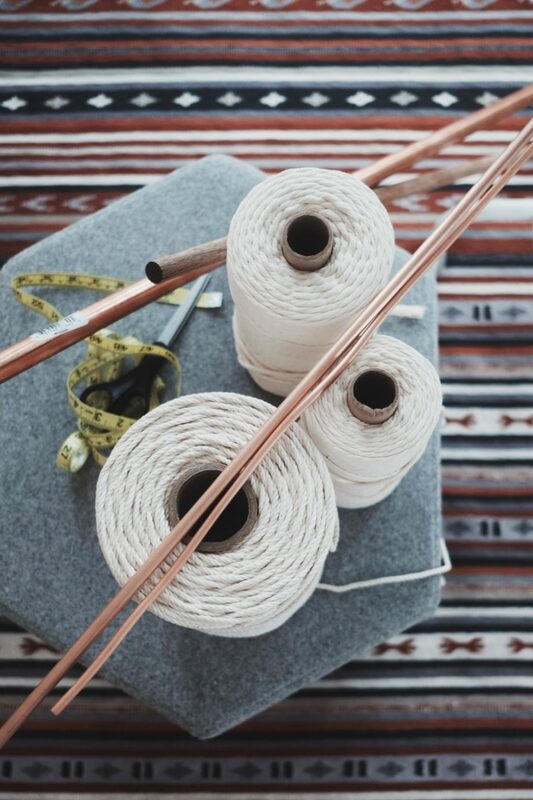 So what is macrame? 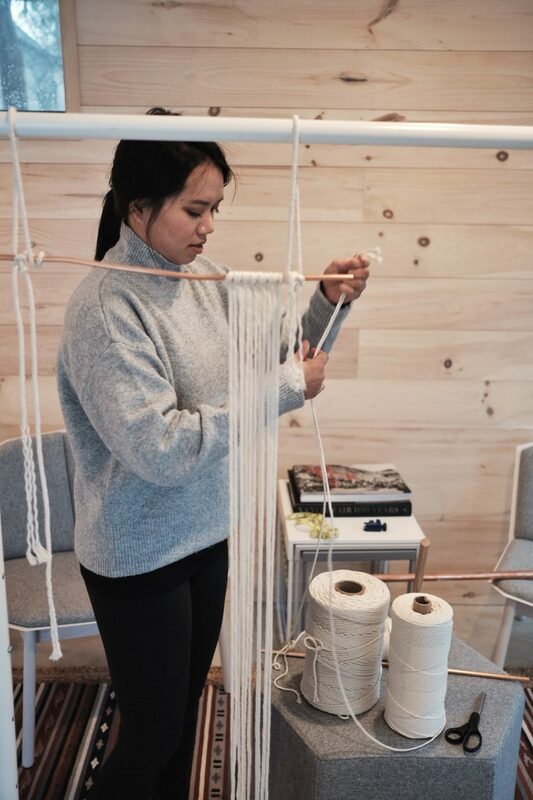 It’s the art of knotting textile pieces using rope, string, or any material you can knot with! I first noticed some IG videos demonstrating square knots in my feed and became enthralled. Watching the videos gave me a sense of familiarity during my time as a student in PA school learning how to tie surgical knots. I decided my living room needed some new plant hangers and some wall hanging art. Within weeks I quickly learned this was something more than just home decor. Macrame was very therapeutic for me but also frustrating at times when my ideas couldn’t translate into my final work. I quickly learned that knotter’s block was a real thing and went back to scrolling through IG for more inspiration. I stumbled upon the Granville Barn and realized a mini-getaway was exactly what I needed. Kathy and I packed my SUV up with spools of rope, an Ikea Rigga rack, and our notebooks for some Kasual Life brainstorming. We picked up some Americanos for our 40 minute commute to the barn and arrived to the cutest historical barn. Just a short walk from downtown Granville was this perfectly located barn. Tucked far enough behind our Airbnb host’s standalone home made it feel more private too. The lighting was every photographer’s dream. 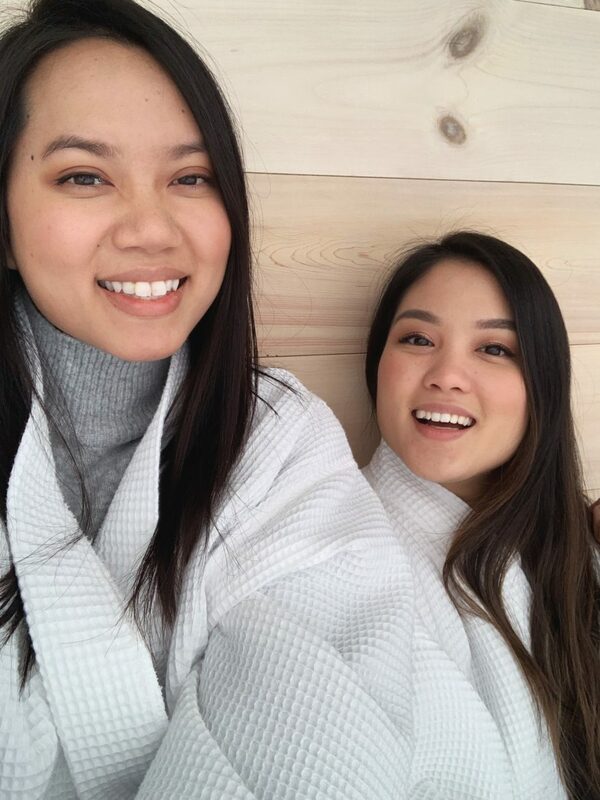 Robes and slippers were available, which kept us extra warm and cozy. 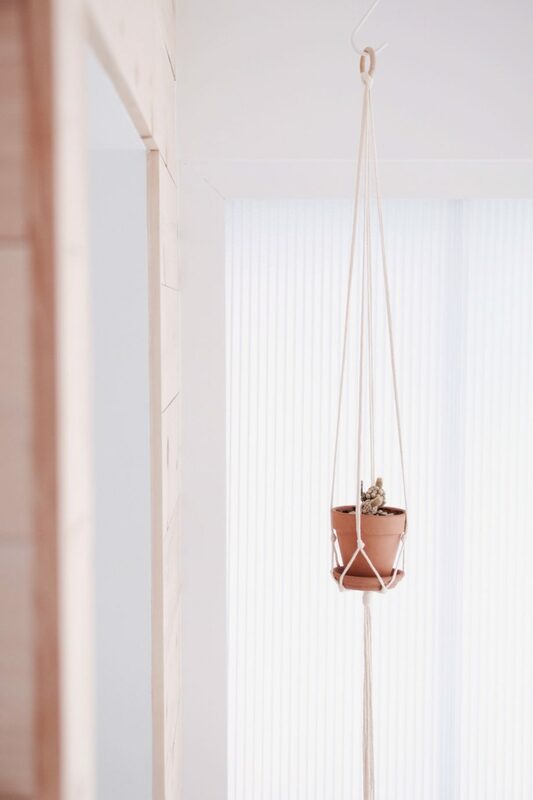 The barn’s design was clean, modern, and the epitome of my macrame style. 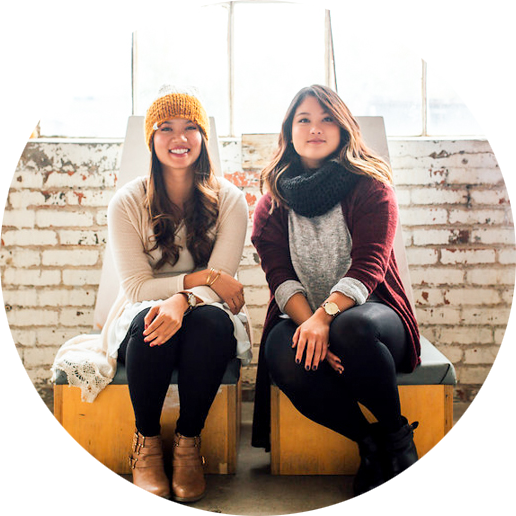 Kathy and I lounged on the leather couch upstairs talking about our new goals for Kasual Life, my new found love for knots, and of course how hungry we were. After grabbing some good old general tso’s down the street, we walked back to the barn to set up shop for a full crafternoon to macrame. Being in a new and fresh environment sparked my creativity to successfully finish an idea I had been working on for weeks. After many sketches, failed attempts, and running out of rope… I finally completed it. A symmetrical block-O that still maintained my minimal and modern style. Then I decided to untie hours worth of knotting. I had something different in mind and knew how to make it even better. My final goal with a block-O is still in the works, but baby steps, right? It’s interesting to see how simple my designs were, but required strange long tortuous journeys from start to finish. Did I mention part of the journey was driving in a level 2 snow emergency? After my trip to the Granville Barn, I gained a whole new appreciation for simplicity and art. One of the beautiful things about macrame is that I can untie my mistakes. I can also decide to push through my mistakes, grow, and move on to the next piece. And if I run into another knotter’s block, you’ll probably find me back at the barn. 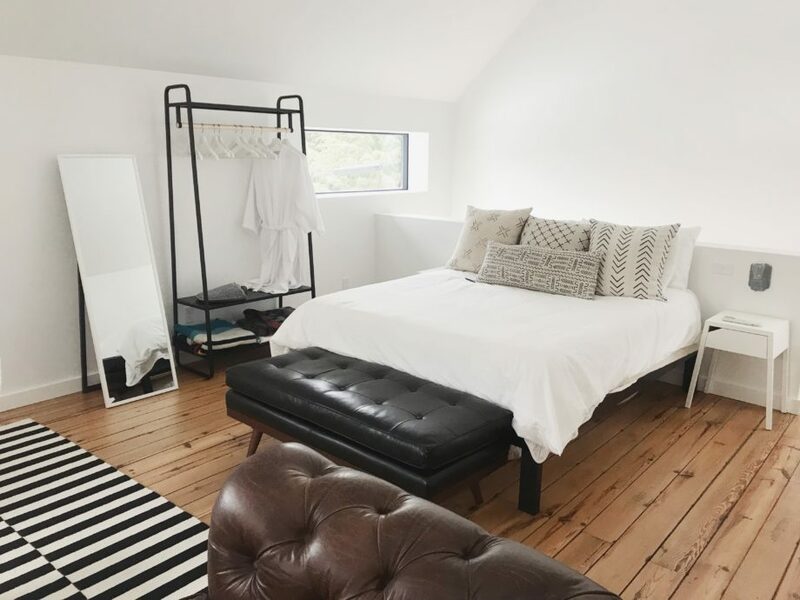 Book your stay at the Granville Barn through Airbnb! FTC: We reached out to Granville Barn for a discounted rate. All thoughts and opinions are our own. 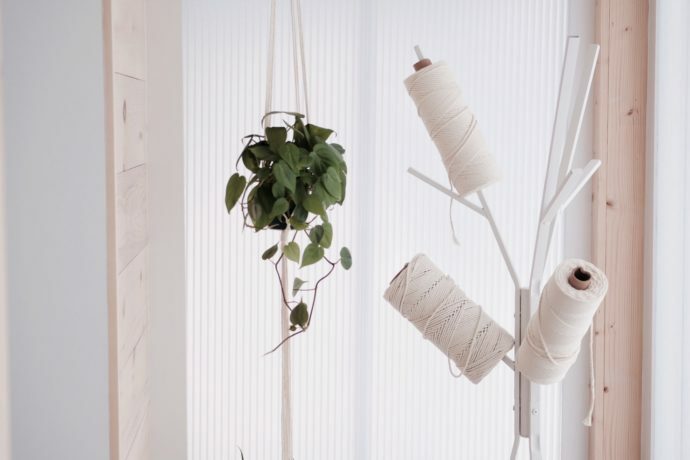 If you’re interested in learning how to make your own macrame plant hanger or wall hanging art, check out Try the Knot for more details!